U.S. Pharmacopeia, USP, is an organization that provides quality testing and monitoring of dietary supplements. If all tests pass, then the supplement company can display a USP seal of approval on the label, packaging, and marketing materials of that dietary supplement. It also provides you with a quick and easy way to make an informed decision about which supplement brand to choose. All you have to do is look for the USP seal of approval to know if a particular vitamin supplement contains true and accurate information. Before 1994, there was no “big brother” watching over thousands of different brands of vitamin supplements. There was no real definition of a “dietary ingredient.” In 1994, Congress passed the Dietary Supplement Health and Education Act that defined “dietary ingredients as a vitamin, mineral, herb, botanical, amino acid, or a dietary substance to supplement the diet or a concentrate, metabolite, constituent and extract." Under the new Act, dietary supplements were under the same rules and regulations as food products. In 2007, the The U.S. Food and Drug Administration began overseeing dietary supplements and added more protection through a regulation that required all supplement companies to comply with Food and Drug Administration's “Current Good Manufacturing Practices” for dietary supplements that relies on quality and accuracy during production. Although the “identity, purity, quality, strength and composition” of dietary supplement is now being regulated by the Food and Drug Administration, this department has limited resources and staff to conduct routine inspections and laboratory testing. USP is one of few federally recognized independent organizations that offers quality testing and monitoring program to supplement companies to verify that their supplements comply with Food and Drug Administration regulations. Through laboratory testing, USP verifies the “quality, purity and potency of the supplement.” USP reviews the company’s standard operating procedures and other documents, and inspects the manufacturing facility to verify compliance with meet Food and Drug Administrations “Current Good Manufacturing Practices.” USP provides ongoing monitoring by randomly testing the supplement sold in stores to be sure they continue to meet USP standards and Food and Drug Administrations guidelines. This program is not mandated by the Food and Drug Administration. Supplement companies voluntarily seek USP’s verification program to give customers satisfaction and guarantee the vitamin supplement is pure and the information about the supplement is true and accurate. If all tests pass, then USP allows the supplement company to put a “seal of approval” on their product. This verification seal is located on the product on supplement facts label. The seal of approval means that the supplement was made according to federal regulations, it contains the exact ingredients, exact potency and the exact amount that is listed on the label. USP mark also means that the dietary supplement does not contain any significant levels of contaminants such as heavy metals, toxins or any other contaminants that could harm your health. 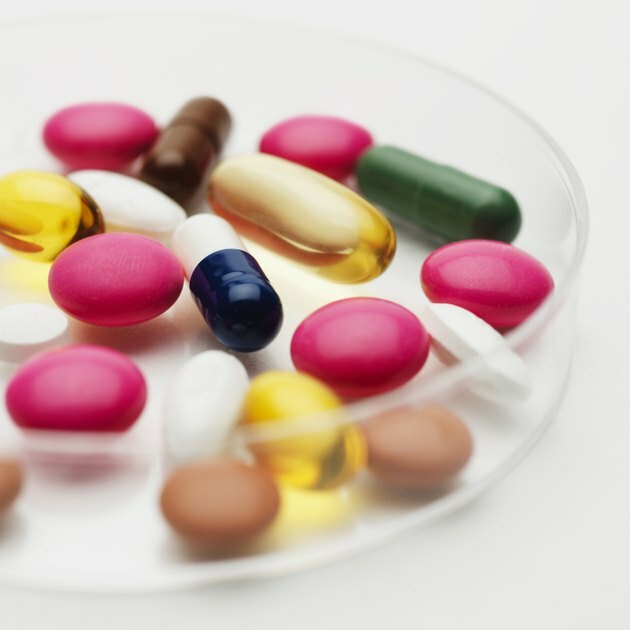 USP guarantees the types of capsules or tablets used in a supplement will dissolve properly in your body. The USP mark also ensures the information on the packaging and label is not misleading. Be aware that seals of approval by USP and other similar organizations do not fully guarantee safety. Seals of approval do not guarantee you can take supplements safely with prescribed medications. There is no guarantee you will receive any health benefits from the supplements. The seal does not mean the supplement is effective for any health claim or treating a medical condition. There is no guarantee against potential side effects you may experience from taking vitamin supplements. Therefore, you should talk to your doctor, pharmacist, or dietitian about taking any vitamin or dietary supplements. Are There Advantages of Sublingual Vitamin B12?